Born as a small artisan’s workshop, Athena is now a key player in the global production and distribution arena. The company is made up of three divisions, Parts & Electronics, OEM Parts and Sportech & Lifestyle, all linked by a common goal: to offer the market high-quality products, made with solid know-how and selected to fit the customer’s needs perfectly. Since 1973, the year of its foundation, Athena’s values ​​have remained the same: honesty, openness, service, professionalism and innovation. 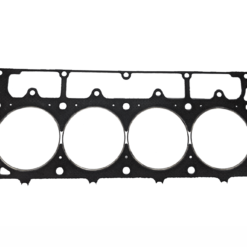 The company is an Italian and European leader in gaskets and over time, has become the market reference, not only for traditional spare parts, but also for items destined for competition two and four-wheel vehicles. Alongside the products it manufactures, Athena has decided to add highly desirable premium brands, leveraging its own distribution network and offering consumers a wide range of solutions.